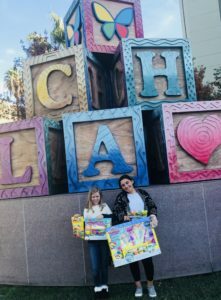 Teen Guild member Sophia and her cousin Taylor asked guests at their annual family Christmas party to bring much needed Play-doh for CHLA patients. 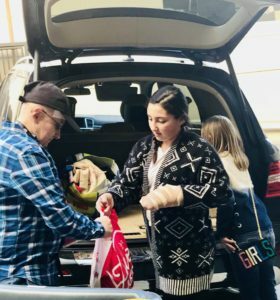 After the party, the girls delivered it to the hospital! New Play-doh containers are collect by our Teen Guild for use by hospital patients throughout the year.